Nintendo Super Famicom Cart. published 23 years ago by ASCII Ent. 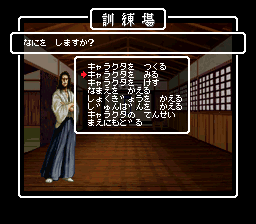 Soft., Inc.
Wizardry Gaiden IV - Taima no Kodou [Model SHVC-AE4J-JPN] © 1996 ASCII Ent. Software, Incorporated.